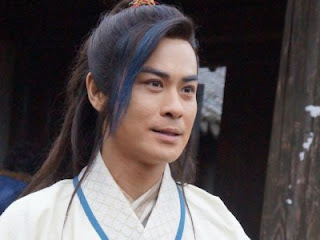 Kevin Cheng had to turn down the "Bu Bu Jing Xin" sequel to film drama, "Hua Xu Yin", and now the actor has to work at least 16 hours a day in order to conclude filming before his next drama, "Ip Man 2", begins production. Such is the busy life of an actor of his stature. According to Jayne Stars website, Kevin, who is paid as much as RMB35,000 per episode, is speculated to earn approximately RMB14 million for his starring role in the fantasy drama. However, his decision to join the cast of "Hua Xu Yin" also means that he has to rush and finish the production in May, as the sequel to his mainland drama, "Ip Man" will begin shooting the next month. An insider revealed, "Kevin told the director that he didn't mind working on a laborious schedule as long as production finishes by the end of May. He told the crew that the schedule rundown didn't have to accommodate him too much." The actor was also reported to have spent over RMB40,000 from his own pocket money to hire a driver and a recreational van to bring him to the set every day. He is said to have made the van his "portable home" for him to rest and eat a quick lunch every single day, taking no longer than 20 minutes for every break. Meanwhile, rumour has it that TVB executive, Virginia Lok has been busy planning for Kevin's return to TVB at the end of the year. The actor has been notified not to take on any mainland projects by the end of the year in order to make room for his TVB schedule.